Shellfish harvesting areas in several Towns in Nassau and Suffolk Counties have been designated as uncertified (closed) for shellfish harvesting, the New York State Department of Environmental Conservation (DEC) announced today. Photo by: Gary Cowles, via Free Images. Update - September 17, 2015 - The Department of Environmental Conservation (DEC) has reopened shellfishing areas in several Long Island towns that were shut down last week. DEC's Bureau of Marine Resources tested water samples from the affected areas which indicate the water quality in the reopened areas meet the standards for certified (open) harvesting areas. All shellfishing areas on the south shore of Nassau County were designated as temporarily uncertified (closed) last Thursday, September 10. Several areas in western and eastern Suffolk County were also designated as temporarily uncertified on Friday, September 11 following the heavy rainfall event and excessive stormwater runoff that affected many areas around Long Island. Rainfall in all the affected areas exceeded three inches, with some areas receiving well over four inches. DEC temporarily closes shellfishing areas to protect the public health. Stormwater runoff caused by heavy rainfall carries bacteria and other pathogens into adjacent surface waters. When water quality in the enclosed creeks, coves, harbors and bays is adversely affected by extraordinary amounts of runoff, shellfish in those areas have an increased potential to be hazardous for use as food. Town of Southold: All the normally certified areas in the creeks and coves lying west of New Suffolk Point. Town of Southampton: All the normally certified areas of Sag Harbor and its tributaries. Town of East Hampton: All the normally certified areas of Sag Harbor, Three Mile Harbor, Hog Creek and Acabonac Harbor. Town of Hempstead: All the normally certified areas of Hempstead Bay (East Bay) lying west of Wantagh Parkway. Town of Huntington: All the normally certified areas of Duck Island Harbor, Centerport Harbor and Northport Bay. Town of Southampton: All the normally certified areas of Noyac Creek and the normally certified areas of Shinnecock Bay lying west of the new Ponquogue Bridge. Town of Southold: All the normally certified areas in the creeks, coves and harbors lying east of New Suffolk Point, including the normally certified areas in Cutchogue Harbor and its tributaries. Town of Hempstead: That portion of South Oyster Bay within the Town of Hempstead. Town of Oyster Bay: All of South Oyster Bay and its tributaries. Towns of Babylon and Islip: All of Great South Bay and its tributaries lying west of the northbound span of Robert Moses Causeway. A recorded message advising harvesters of the status of these shellfish areas may be heard at (631) 444-0480. The message is updated during the course of temporary shellfishing closures. For more detailed descriptions of the closed areas please call the office during normal business hours at (631) 444-0492. Additionally, detailed descriptions and a map showing temporary closures are available on DEC's website. The original press release on closures is below. Long Island, NY - September 11, 2015 - Shellfish harvesting areas in several Towns in Nassau and Suffolk Counties have been designated as uncertified (closed) for shellfish harvesting, the New York State Department of Environmental Conservation (DEC) announced today. These temporary closures have been implemented following the extraordinarily heavy rainfall and stormwater runoff that affected these areas. Rainfall exceeded three inches in these areas, with many areas receiving more than four inches on Thursday, September 10. Towns of Babylon and Islip: All of Great South Bay and its tributaries lying westerly of the northbound span of the Robert Moses Causeway bridges. Town of Huntington: All of Duck Island Harbor, Centerport Harbor and Northport Bay lying east of a line extending south from the southernmost point of West Beach (also known as Sand City Beach) to the eastern side of the beach pavilion at the Town of Huntington's Crescent Beach (Huntington Bay). Town of Southampton: All of Noyac Creek and its tributaries; all of Sag Harbor and its tributaries; and all of Shinnecock Bay and its tributaries lying west of the new Ponquogue Bridge. Town of Southold: All creeks, coves, bays and harbors within the Town of Southold lying west of Conkling Point and all of Cutchogue Harbor and its tributaries lying north of a line extending northeast from New Suffolk Point to the northernmost point of land at Horseshoe Cove. Town of East Hampton: All of Sag Harbor and its tributaries; all of Three Mile Harbor; all of Hog Creek; and all of Acabonac Harbor and its tributaries. In addition, on Thursday, September 10, DEC closed all the shellfishing areas in Hempstead Bay and South Oyster Bay on the south shore of Nassau County, in the Towns of Hempstead and Oyster Bay. This action was taken to protect the public health. Stormwater runoff caused by heavy rainfall carries bacteria and other pathogens into adjacent surface waters. 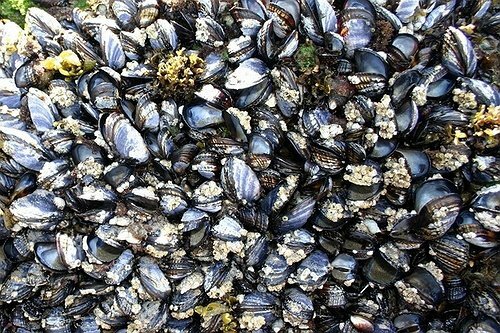 When water quality in the enclosed creeks, coves, harbors and bays is adversely affected, shellfish in those areas have an increased potential to be hazardous for use as food. A recorded message advising harvesters of the status of these shellfish areas may be heard at (631) 444-0480. The message will be updated during the course of the temporary closures. If you would like a more detailed description of the closed areas please call the office during normal business hours at (631) 444-0492. Additionally, information about temporary closures will be available on DEC's website.